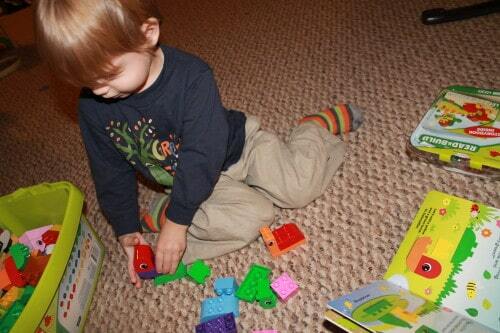 Lego DUPLO blocks are always a huge hit in my house with my toddler. Christopher is at an age where he’s starting to understand that books convey true meaning. 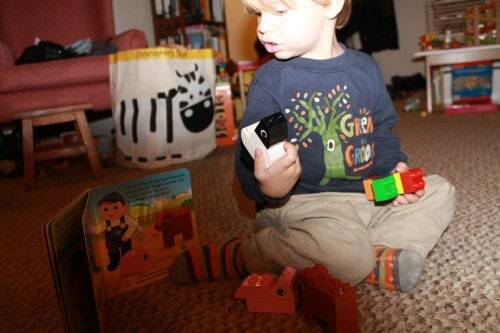 That’s why I was so excited to try out Read and Play Lego DUPLO blocks. The concept behind Read and Play Lego DUPLO blocks is simple; it combines a story with Lego building instructions– Perfect for any toddler or preschooler! Combine a story with step by step instructions to create pieces of the story; from stories about animals and insects to cars and airplanes! 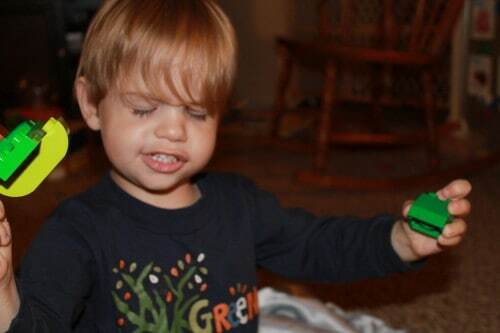 The Read and Play sets capture many skills important to early childhood development. Children and adults are engaging in play and storytelling together. 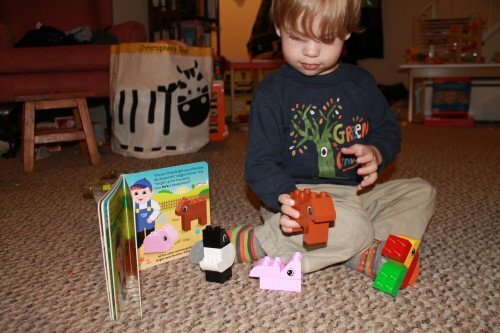 By building and creating items directly from the story, your child has the opportunity to retell the story with props. 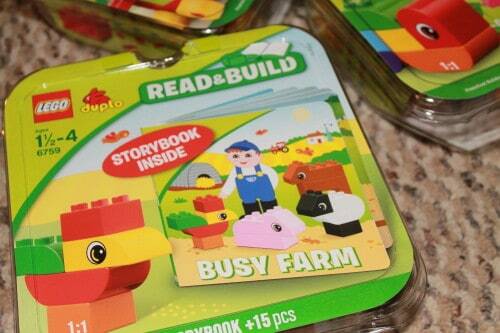 The Lego DUPLO blocks give your child a hands on, interactive experience with reading to help them grow to love books. Children learn that books are meaningful and can convey more than simply a story. 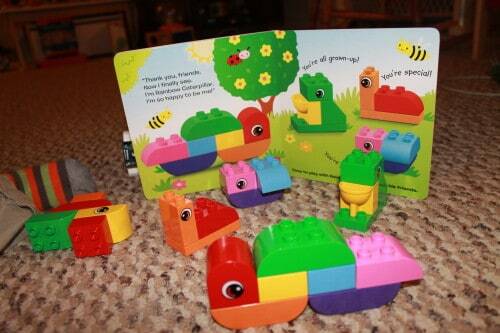 A new play experience for preschoolers that combines building bricks and a story book. 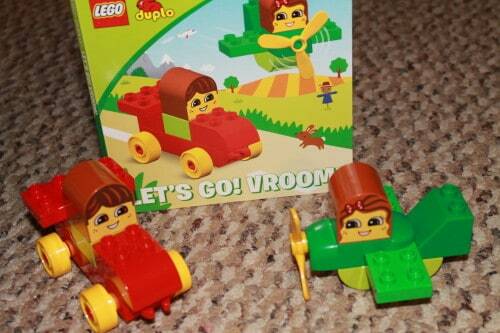 My son’s favorite set from the Lego DUPLO Read and Play sets is the Let’s Go! Vroom! set. 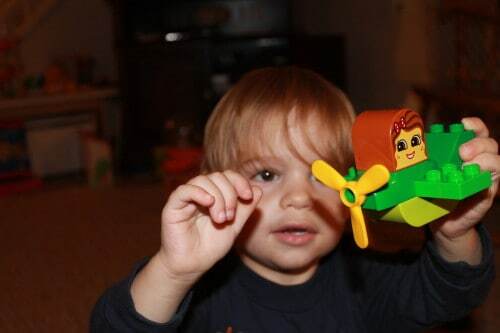 He loved building the airplane! While building the airplane, he was engaged and learning new vocabulary. At first, he thought it was a helicopter. Then, we talked about the propeller, which taught him new language and that both airplanes and helicopters can have propellers. He flew the airplane around all night! 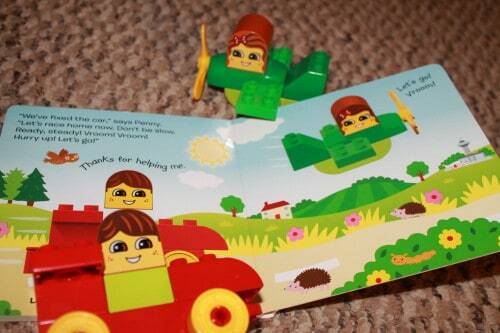 We love that the story goes right along with the Lego creations. One thing I always love about Legos is that there truly isn’t a right or wrong way to use them. Some of Christopher’s creations weren’t as they appear in the story–and that’s okay! He’s welcome to follow the story or create in his own way. 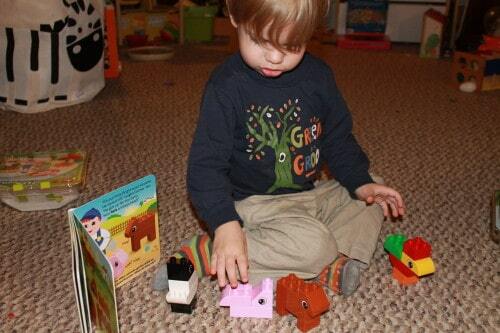 Christopher loved setting up the farm animals! Enter for a chance to win $100 worth of Lego DUPLO products! Step 2: Go to the Tend by Glam Facebook page (http://www.facebook.com/TendByGlam) and click “Pin To Win” tab where you will be provided with the Contest image which you must pin to your Pintrest board. Step 4: Re-pin the Contest Image to any Pintrest board, along with at least one (1) additional image from among a library of images available on the Tend LEGO DUPLO Pintrest board. All Steps must be completed during the Promotion Period to be eligible as an Entry. Sweeps ends November 30, 2012. Disclosure: Compensation was provided by LEGO DUPLO via Glam Media. The opinions expressed herein are those of the author and are not indicative of the opinions or positions of LEGO DUPLO.